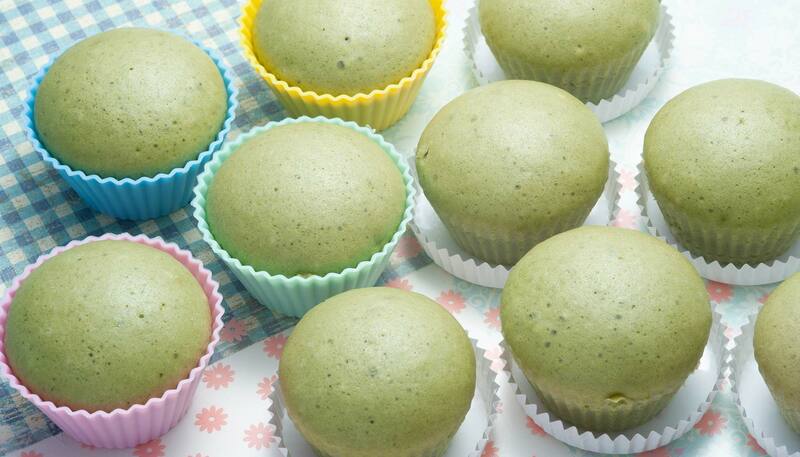 These delicious Matcha Steamed Cakes are great as snack or as an accompaniment to tea-any kind of tea. They're steamed, so they're oil-free too! 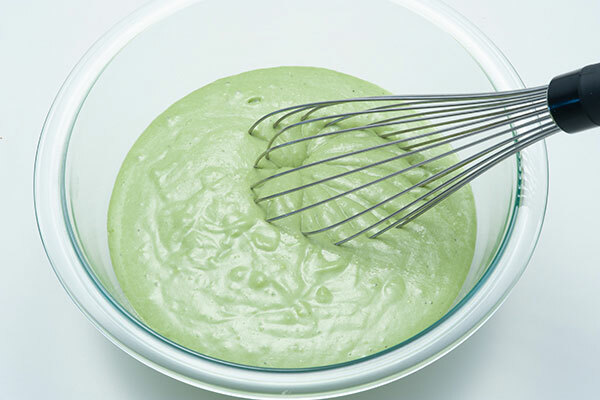 In a large bowl, beat the egg, add the milk and sugar and whip with a whisk. 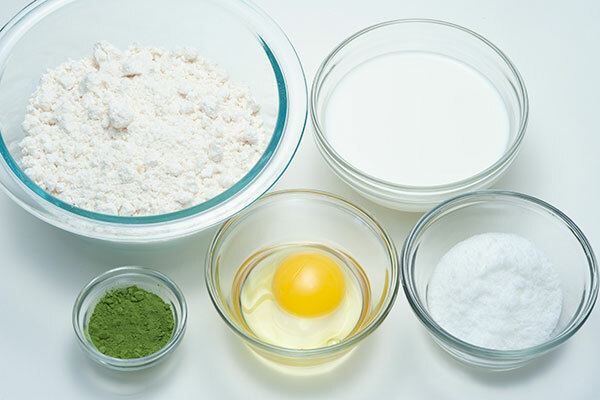 Add pancake mix and matcha powder and mix well. 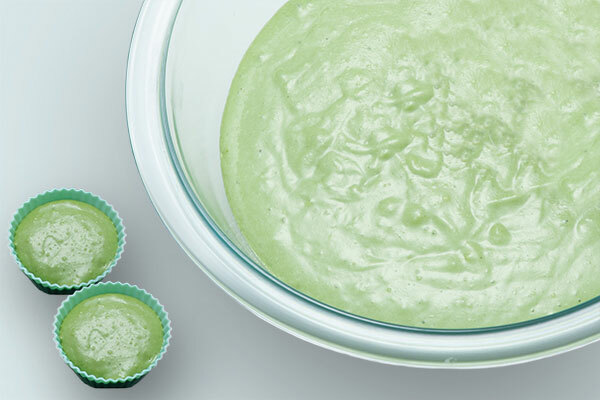 Pour the mixture from step 1 into muffin-sized silicone cups, to about 80% of its capacity. 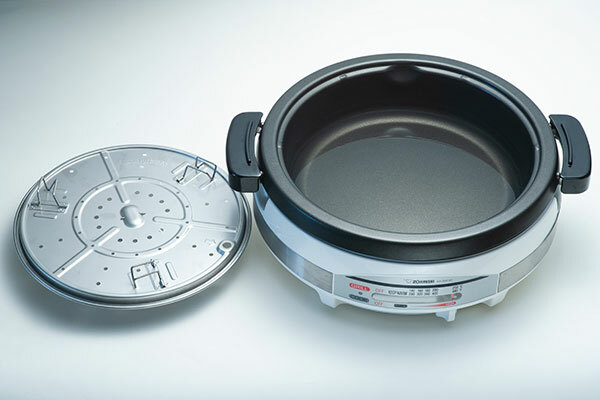 Add 3 cups of water to the deep pan of your Gourmet d’Expert® Electric Skillet (EP-RAC50), and place the steaming plate with its legs at the LOW position. 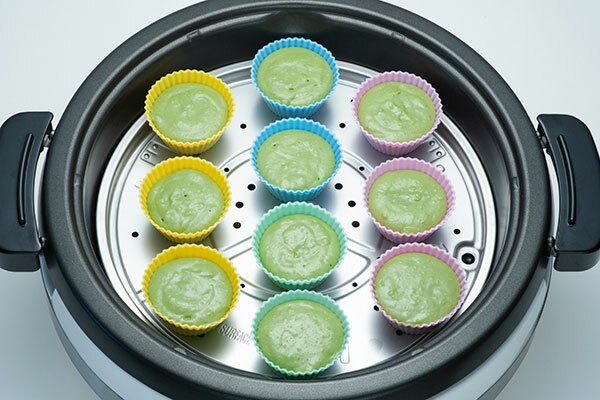 Place the silicone cups from step 2 on the steaming plate and cover the lid. Turn the control lever to HIGH, and once it reaches a boil (or when steam begins to arise from the gap between the pan and the lid), steam for about 15 minutes. Insert a toothpick to the cake to check doneness (that the toothpick comes out clean). Beware of the hot steam. When cakes are done, turn the control lever to off, remove and serve. 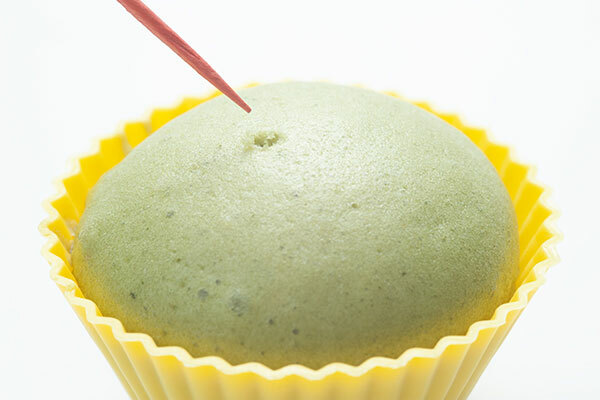 Also try our Green Tea Latte recipe while you have the matcha powder out! Pour 2 cups hot whole milk, 4 tsp. sugar and 2 tsp. 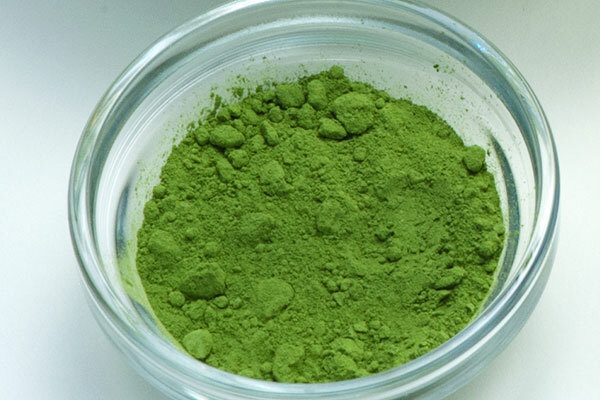 matcha powder into a blender and blend until frothy. Pour the mixture into two cups and enjoy!